The Ministry of the Hermit: The word, hermit, from the Greek, means “desert”. Therefore, a “desert-dweller” is a person who lives to some greater or lesser degree in seclusion and/or isolation from society. In Christianity, the term was originally applied to a Christian who lived the eremitical lifestyle out of a religious conviction, namely one based on the Desert Theology of the Old Testament, the New Testament and the early Desert Fathers and Mothers that emerged from these earliest of Christian Communities. 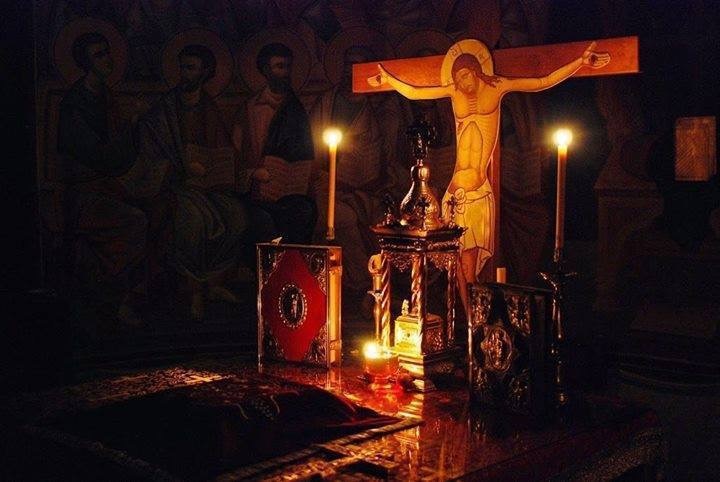 The work of the Hermits of the Holy Cross is Salvation. The word, salvation, means “to come closer to God.” To remove the veils that blind humanity to the Truth. We thus strive to place all of our humble efforts toward this end into the hands of our most loving and all-knowing God through Prayer, Spiritual Practice and Study. The most important aspect of the Hermits of the Holy Cross, however, is Prayer. Prayer, at its foundation, is a cry to God from the Heart in Adoration, Thanksgiving, Praise and Intercession for one’s neighbor and one’s self. As Christ Jesus has taught us, we are to “love our neighbor as ourselves”. Our ministry, therefore, within the Church, is one of Prayer, Adoration, and the Offering of our daily Sufferings that have resulted from living with chronic illness, pain and disability, that we may stand in communion with all suffering beings of the world, believing in their and all of our spiritual transformations through the Mercy of God always being poured out upon us through Jesus Christ by the Mystery of His Cross and our participation together in it.